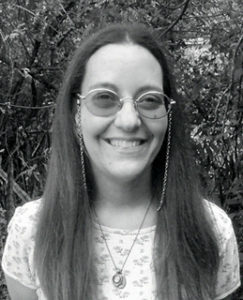 Meet my guest today fantasy author, Juli D. Revezzo, who like me should have been born a pagan. Juli D. Revezzo loves fantasy and Celtic mythology and writing stories with all kinds of fantastical elements. 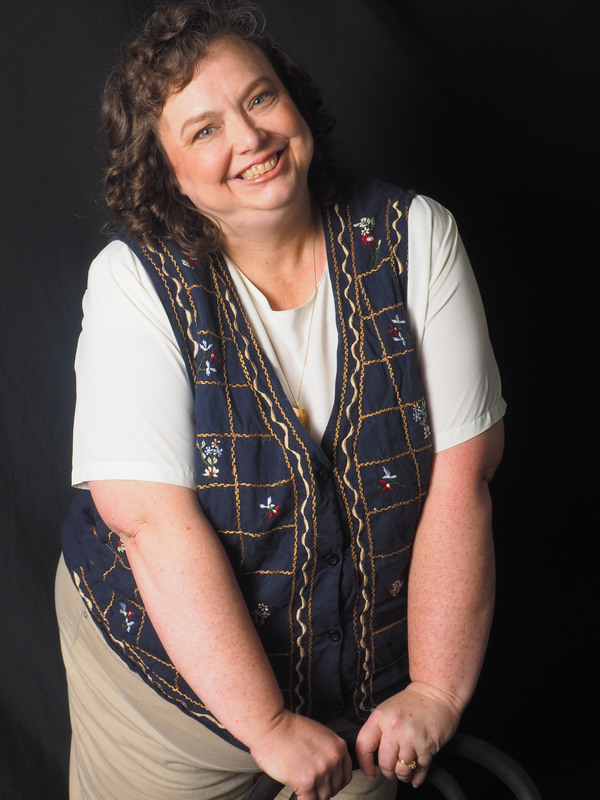 She is the author of the historical romances, House of Dark Envy, Watchmaker’s Heart, and Lady of the Tarot, the Antique Magic paranormal series and Celtic Stewards Chronicles series, Frigga’s Lost Army, and more. 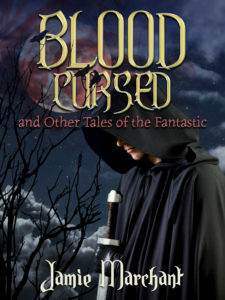 She is also a member of the Independent Author Network and the Magic Appreciation Tour. Do you think people have misconceptions about the speculative fiction? Why do you think it is a worthwhile genre? Yes. For one thing, the general populace still seems to think it’s for teen boys and knock women out of the loop altogether. Despite the fact that many women have written fantasy and science fiction throughout its history, the stereotype remains. And then there’s the stereotype that all f/sf fans are low educated geeks, and for some reason, that makes f/sf a lowbrow form of storytelling. This attitude completely ignores the fact that a lot of us use a lot of learning and research in order to write our stories. With me, I somehow like to write about things no one knows much about, like the battle of Tunisia in World War II and the Italian PoW camps that tie into Frigga’s Lost Army, so that necessitates a lot of extra work on my part in order to get the worldbuilding right. *g* But *snaps fingers* people just assume that fantasy is, a) easy to write b) for children and real writers wouldn’t waste their time. Alas, in all the years I’ve been reading and writing it, those two beliefs have never changed. 2. Could you tell us a bit about your most recent book? 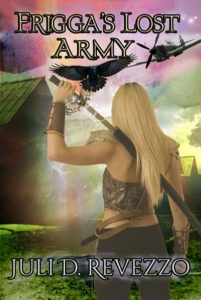 Frigga’s Lost Army is my latest, and it’s an historical fantasy set during World War 2, specifically the early years of 1942-1943. The hero, Benjamin, fought in the Tunisian Campaign (in Africa) during Operation Torch, against Mussolini’s Fascist troops. Some of those battles were lost by our side and resulted in thousands of Allied troops being taken as Prisoners of War. I put Benjamin in that situation and sent him off to a prison camp in Naples, Italy, and followed his life as a prisoner of war. I found some surprising things, while researching, about the way the Italians treated the POWs. They treated their prisoners far better than movies have led us to believe. Sure, they had their troubles (beatings, meager supplies, no clean clothes, sickness, idleness, etc), but they had lots of downtime (so to speak) and camaraderie too. The fact that the hero, Benjamin, makes a friend of one of the guards isn’t without precedence in the published accounts. 3. What gives you inspiration for your book? Frigga’s Lost Army? Years ago, a friend of mine was putting together an anthology of modern stories and devotions based around the goddess Frigga. She popped into my head one day, surveying troops in Africa. And from there I found out about the Tunisian Campaign (see above), and the POWs thereof, and Mussolini’s ties to all that and the camps in Italy. Intrigued, I started writing Frigga’s Lost Army, dropping Benjamin and his troop into the midst of that battle and its aftermath. It was interesting playing that “modern setting” off Frigga and her world and mythological symbols. A way to bring Her and her mythology into more modern day, modernize the goddess and her stories so to speak, which I love to do. It changes with each book as I write it, of course, but overall, I’d say Caitlin, the heroine of my Antique Magic series, and her witch/pagan friends. Why? They were my first published series, and I get to play around with witchy and pagan themes in that series. And Welsh/Celtic mythology, of course, in the goddess Arianrhod’s involvement with Caitlin. I’ve studied Celtic mythology for many years all of which worked itself into the (now) four books of that series and the two/three of Celtic Stewards Chronicles. But the Antique Magic series was the first time I incorporated any sort of modern paganism into something I planned to release. Sometimes, the hardest part is stopping the research. With Frigga’s Lost Army, I was still checking and verifying details of the World War II era, rationing and everyday life and so forth, double checking facts on how the war and Mussolini’s ideals were affecting Italy. And of course, the facts and details of the liberation of Italy. That went on darn near right up to the day I published. Part of that is just me, the perfectionist. I’m sure I probably didn’t need to check and recheck as much as I did it. Oh, and titles. Time was, you could just pull a title from the book, (for instance, the Hobbit) and be done with it. But now, you have to think in terms of keywords that’ll ping in Amazon. What the heck is that about? It feels dumbed down, to me. Sometimes, I feel like all I can do is just pick, cross my fingers, and hope for the best. It’s all very stressful. Yes. I just finished and released two audiobooks, one for my gothic pnr: Lady of the Tarot (that novel is set during the French Revolutionary era and involves a family that escapes the turmoil, only to be harried by demons. The villains throw tarot related imagery at the heroine and demand she decipher it, all the while hoping she’ll fail so they can destroy her. But she’s got a handsome helper on her side in the form of a tarot expert, so does she? You’ll have to listen to the audiobook (or read the ebook) to find out. The other audiobook is for my steampunk romance novel Watchmaker’s Heart, about an inventor who can’t quite get her aromatherapy diffuser that’s supposed to help lovers rekindle their flame, working right—or can she? Is it magic or technology that does the trick? Who can say? Again, the audiobook (or ebook) will reveal that secret! I had fun working with the narrators and hearing the books come to life. I’d like to do more if everything comes together. It’s a dream (and a Patreon goal). I’d like to live in either Pagan Ireland or the Italian Renaissance. I studied both in school, and I think I could get along well there. I’d have to learn the language and learn to live without air conditioning (and running bathrooms and so forth), but I think I could pull it off. Also, I’d love to get my hands on some of the original medieval stories and find a way to preserve them, so maybe they wouldn’t come down to modern day so horribly fragmented. I’d like to be a raven. Just because they’re neat, especially mythologically. If I were permanently changed? I think I’d go with fish. I’m pretty fairly comfortable in and around water, so I think I’d take to that much easier than, well, being a bird. In the winter of 1943, eighteen-year-old Benjamin is just a grunt and Army cook–until he finds himself captured, along with his unit, taken prisoner by Mussolini’s troops after the Battle of Tunisia. When he encounters a woman bearing an uncanny resemblance to the goddess, he wonders if he hasn’t been entangled in a battle between the natural and the supernatural–a battle for the present and the future. The door of the troop transport opened slowly. Benjamin tapped his foot, waiting. Heat flooded in from outside. “You need to see a proper white Christmas, Ben,” Tommy said. And he was loyal to a fault, Benjamin thought. He remembered, several nights on leave, Gabriel steered his girlfriends to Ben’s kitchen on base for dinner. Right now, that didn’t sound like a bad idea. The door finally descended. Benjamin squinted into the sunlight. “Attention!” Sergeant Meyers bellowed strong and deep, and out they marched into the desert. Machine gunfire echoed all around, barely giving them a chance to breathe. It was the winter of Benjamin’s first year in the field. The desert and mountains of Tunis were beautiful, far different from his Texas home. Sunrise the next morning exploded in shades of pink and orange he’d never seen only adding to his impressions. But battle overtook his awe of the scenery; and only two weeks in, their battle was lost. His ears still rang with exploding mortar shells, the screams as some of his fellows took the brunt, their screams as they died. Sounds he thought he might never get out of his mind. To ensure no one attempted heroism, several armed Italian soldiers approached and yanked away their rifles. Rage filtered through Benjamin as one relieved him of his M-1 machine gun. He’s younger than Tommy, he thought. And Tommy, he knew, was seventeen. This one stepped back, set the gun on a pile of them. From inside his sweat soaked shirt, he produced a silver cross, which he proceeded to kiss. “Colonnello Trovato?” Another dark-haired soldier squinted in the bright sun as he addressed the rotund Italian official. Benjamin thought the bullets missed the soldier, if for no other reason than because of how short he was. The soldier saluted. “Sir, forty-five men surrendered, and several wounded,” he said. As the soldier spoke his report in Italian, Benjamin understood wounded, and forty-five. The rest was all guesswork. Have to brush up on the language, I guess, he thought as he scanned the enemy. Benjamin blinked as Tommy jogged past him. The Sergeant turned him over to the Italians, and soon Tommy was translating, as best as possible, a flurry of orders. The Italian colonel whom he addressed reminded Benjamin of one of his uncles, short, and fat in the extreme, like a basketball with dark eyes and stubby limbs, but this man’s attitude was nothing like his jovial uncle. And so it was Benjamin Gunnarson found himself no longer a soldier, but one of a long line of prisoners taken in the field—he and many more of his brothers-in-arms—and humiliated under the eyes of the Italian Fascists. The soldiers rounded them all up and forced them to march from the battlefield. He fell back beside Tommy. A half-mile passed, and another before they approached a compound surrounded by logs driven into the ground, and wrapped all around with barbed wire. A few of his comrades paused. “What is this?” one asked. “Oh hell no,” said another. Benjamin—herded through the gate—recalled hearing nothing about what to do if captured. The only advice he remembered was on how to win a battle. Not on how to lose one. What do I do now? He gritted his teeth as the gate closed behind them. Even the beauty of the African landscape wouldn’t keep this nightmare at bay. Keep quiet; keep your head down. There’s no way you’re dying caged up like this. He was willing to die trying to escape, but something told him today was not the day to make any such attempt—particularly not with the multitude of guards surrounding the pen in which he was currently housed. One in particular was striking—tall, light of complexion, with eyes of dark blue—no. Sea blue. No. The man’s eyes shifted between the hues—sea blue, green, sky blue, sapphire. Or am I hallucinating? Benjamin wondered. The soldier was too far away for Benjamin to make out the color. Besides, the last thing he wanted was for these guards to give him too much attention; he thought it better not to stare too long. How had he been so stupid as to fall into their hands? He should have shot himself before the soldiers took their guns—but no. There were far too many he loved to have checked out so soon. He would endure this, by God, or he wasn’t fit for his uniform, a uniform to which he fully intended to return, and soon. His attention caught a strange lilt to the speech; it seemed split along two frequencies. Underneath the propagandistic poison sounded the alluring, bewitching voice of a poet, making promises Benjamin couldn’t believe. The soldier smiled, and Benjamin gulped in confused fear. The soldier stepped back and Benjamin’s vision blurred, only to regain focus in an instant. He saw himself for a moment, dark blond hair dirty and matted under his war helmet, his thin jaw clenched. Rage tinged his face and eyes. He wondered if his mother would call him baby-cheeked anymore. Though he was the platoon cook, he’d had far less to eat lately than in years past. Now, the landscape changed and Benjamin stood before the towering soldier, no fence between them, the cloudless African skyline replaced by the vision of a finely crafted hall. The man, too, seemed different: he no longer sported the uniform of those faithful to the enemy, but the fine clothing, and jewels of a king out of Medieval legend. Celtic legend, if he wasn’t mistaken. A table spread long before him laden with gleaming gold goblets, and Benjamin for a moment saw his own face in them, as he suspected, dirtied from the grit and sweat of the fight, marked with smoke and dust, blue eyes tired with little lines of exhaustion easily seen in the reflection. He was nineteen but wondered what it felt like to be ancient. Ninety years, surely, had passed since he’d so proudly entered the recruitment office. Ages ago, instead of only one year. Then the scent of the food turned his attention away from the gleaming mirror image. Plates filled the space laden with steaks so succulent he wished he could take some to his friends. Keys. He could think of no woman in Celtic mythology who used them as a symbol, but then, he’d long ago forgotten his mythology. Of whom did the king speak? Benjamin closed his eyes; when he opened them, the camp returned, and the sea green eyed soldier disengaged his attention. Another took his place, dividing their platoon up, some here, some there with Sergeant Meyers, snapping out the itinerary of meager fare (mostly watery rice and bread). Benjamin found himself in a separate group from the sergeant. “That’s what I thought too,” another said. “If they’ll let us,” Tommy said. There was more to worry about, though, he knew. Would he even end up with them when they finally landed? Or would he get shipped off to Berlin? Though some guards allowed the battalions to switch among themselves, friends staying with friends, in most all things they were given little choice. One particular soldier Benjamin grew to loathe. The statuesque blond monster, with his jaw that jutted as if someone had shaved it off using a ruler for precision squaring, glared at them even as his superiors ordered them around, took great pleasure in making their tiny tents inside the pens as uncomfortable as possible. Danesi, someone called the lout. He hoped they wouldn’t suffer him long. No such luck. Danesi grumbled and continued his verbal abuse even as he mustered Benjamin and his friends out for quick removal to the airfields and planes that deposited them in their new home: a prison camp in Naples, Italy. Thanks for having me, Jamie! It was a pleasure chatting with you!